The future looks bright for going solar in Rhode Island. The State’s Renewable Energy Fund (REF) is incentivizing solar energy investments throughout the State through a grant program equivalent to a rebate. The REF program wants the State’s citizens to discover the financial benefits of investing in solar energy. The State is offering a four-year program paying solar panel purchasers an incentive exceeding that of their current retail electricity rates of $0.19 kWh – the 6th most expensive rate in the nation. The REF program is reviving the benefits of solar energy throughout Rhode Island. 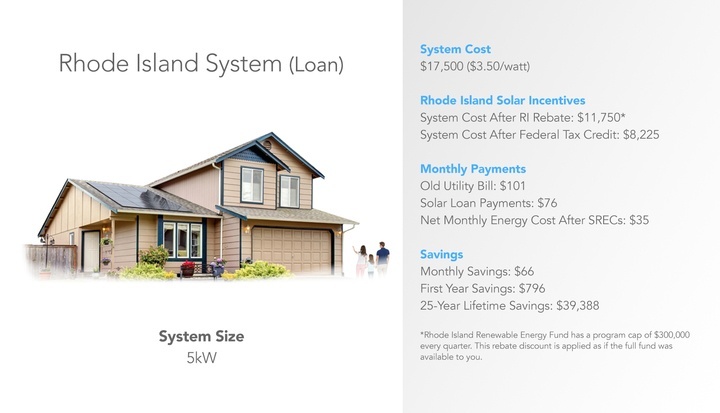 We are going to give you a rundown of your bright future with solar energy in RI. As one of the top 10 renewable energy programs in the nation, REF extends homeowners grants (rebates) of $1.15 per watt of solar power energy – capped at $10,000 per home system installed. The REF program accepts application for grants on a rolling Block basis every quarter of the upcoming year. For a small scale, solar project – up to 25 kW – the Renewable Energy Growth Program will pay every homeowner $0.3775 per kWh that their solar panel system supplies to the power grid. This long-term performance payment is extended for 20 years and is guaranteed money in your bank account. This incentive could add up to $12,735 over the next 20 years. Receive an automatic Federal Income Tax credit of 30 percent when you purchase your solar energy system. Your purchase and installation of a solar energy system for your home will be 100 percent exempt from all sales and use tax. This is what you can expect to receive for a $17,500 loan to purchase a 5kW solar energy system for your home. 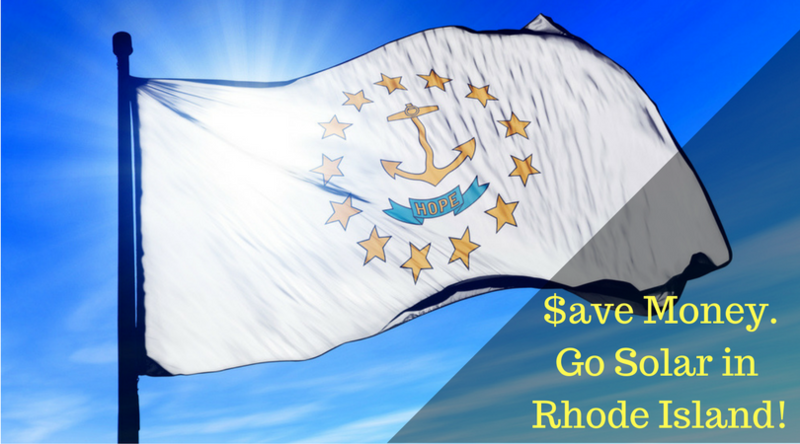 Now that you understand how much money you can save from going solar in Rhode Island, let's make sure you receive the most affordable, highest quality solar panel system. 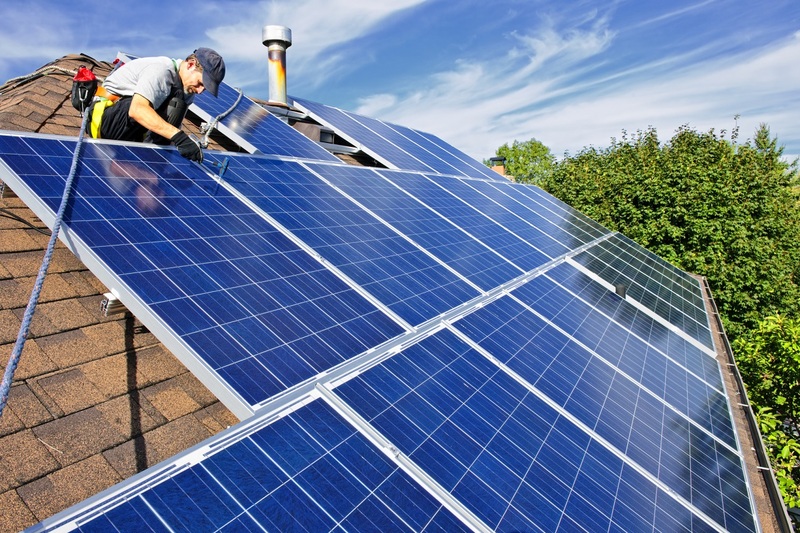 Rhode Island homeowners face many overwhelming and confusing unknowns about how to begin the process of purchasing and installing a solar panel system. While avoiding high pressure sales tactics, you can select the Rhode Island solar company best qualified to meet your personal and budgetary needs. Rest easy while Pick My Solar monitors your new solar energy system’s performance. Your satisfaction is our top priority. 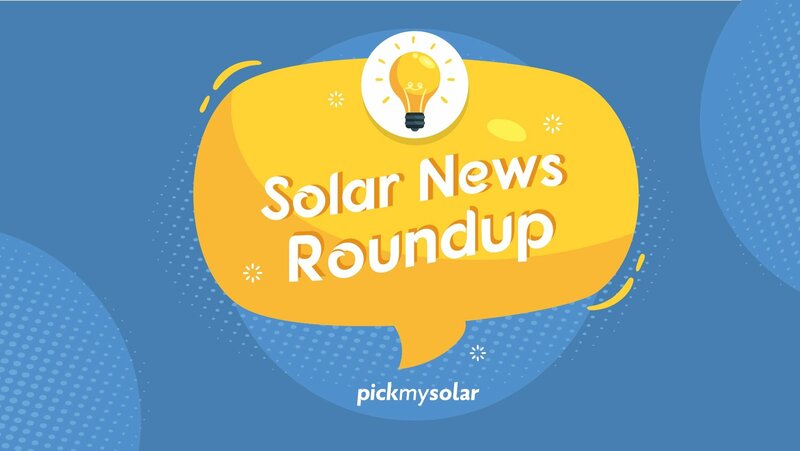 Discover the ease of going solar with online solar quotes through Pick My Solar. Because we have designed a one-stop shop for clean energy, our dedicated solar experts are available Monday through Friday between 7:30 a.m. and 7 p.m. Simply call 888.454.9979 – or – click the button below to get started saving money on energy.